industrial flair. Prismacolor pencils and acrylic paint provided an additional means to embellish. Textile #1. 5' feet 2" inches x 34" inches. This large textile design was first shown in the Collage 101 Exhibit at e11even2, and is on display with other experimental work in the storefront windows at Cleveland's Hyatt Regency Arcade through May 2016. 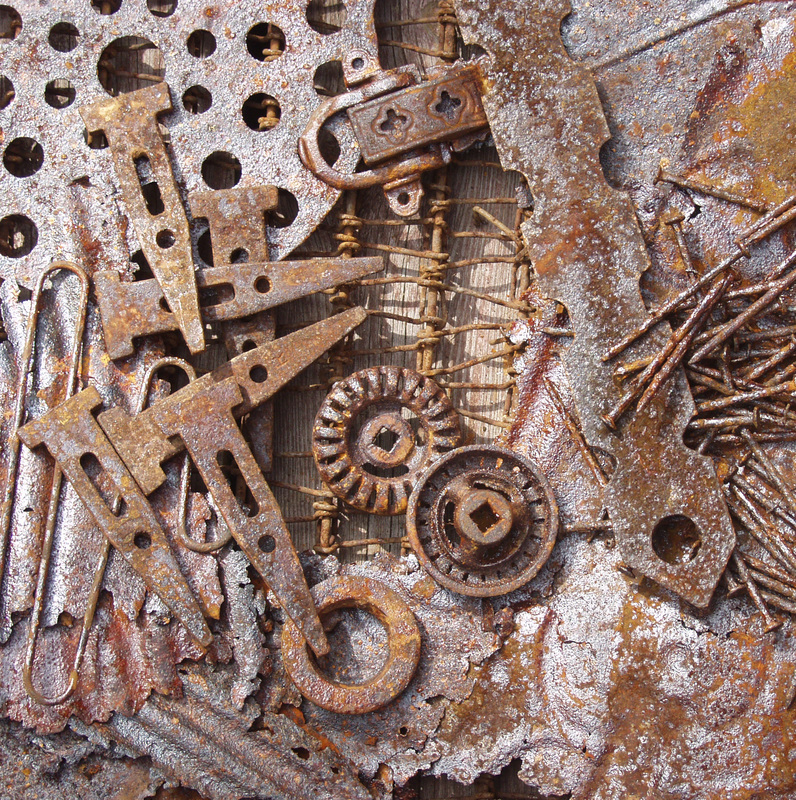 Ten years ago, I began experimenting using rusty iron fragments to stain fabric. This began on the heels of an unsuccessful attempt to remove a rust stain from an old doll dress. That failure encouraged inspiration. 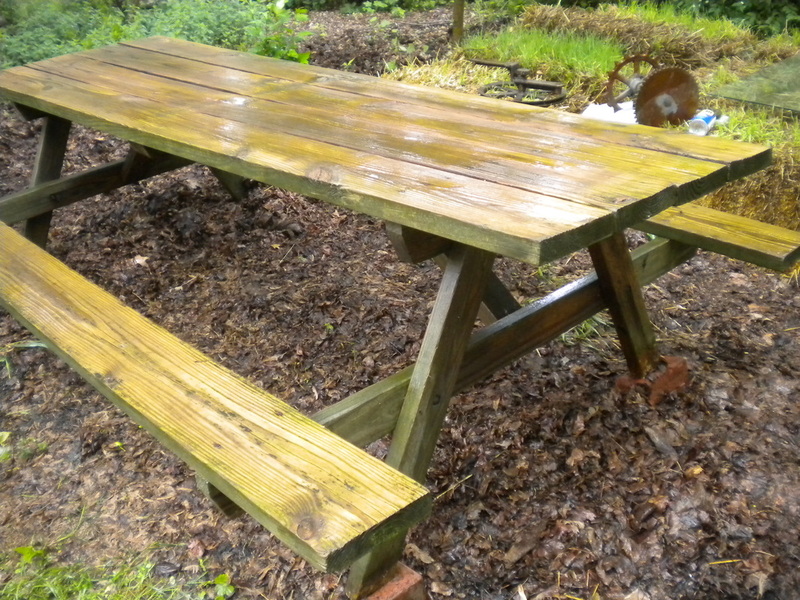 Although I never did get that stain out, I made up my mind to think of it as a happy accident. 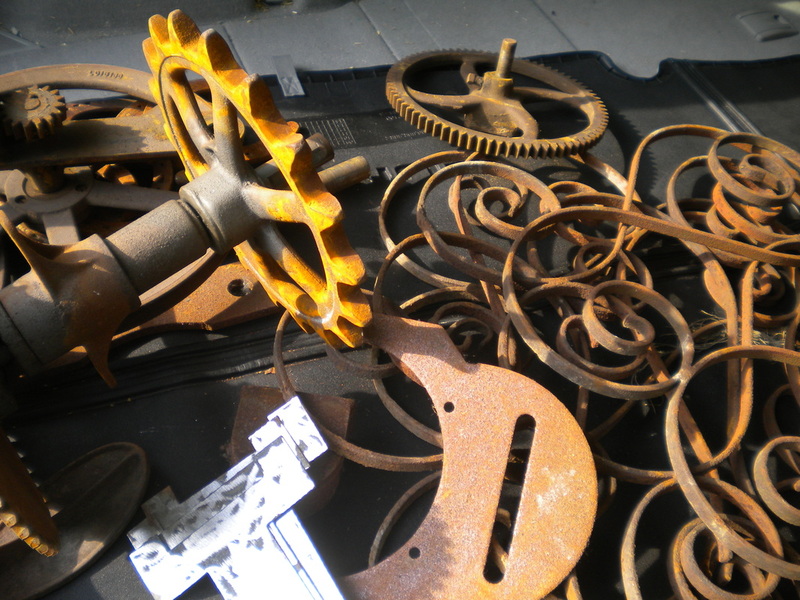 Why not capitalize on the permanence of rust? After much trial, I'm happy to introduce a large textile patterned with iron artifacts, saturated in natural earthy umber and ocher tones, and overpainted with figural design and cryptic symbols from cave paintings the world over. Coming soon: fabric on demand direct to you for your sewing projects. Stop in for a 5' x 3' foot textile preview on Third Friday, January 2016 at E11even2 Gallery in Cleveland's art mecca, 78th Street Studios. The purpose of this blog is to reveal the entire process of fabric coloring in detail to any other artist interested in giving this a try. Let me know if I you find any speed bumps in the directions below and please credit me and link to this page if you re-publish my process. Today I met David Smith, a FB friend and amazing metal artist who's doing creative work that's second-to-none; he's a tenured second generation metal refinisher, restorative artist and fabricator from Cleveland. David's a guy -who believes as I do- that it pays for artists to help other artists. After a tour, he turned me loose in his studio shop so that I could pick and choose from his stash of metaLto beef up my own! David shared chemical processing tricks that I'd never have learned elsewhere. His generosity, friendship and shared artistic enthusiasm have turned my experiment into a happy collaboration. All that said, contact me with questions. Just ask if you'd like to visit and see for yourself what I'm doing. ﻿﻿Above left to right: 1) Rusty metal stash courtesy David Smith. [Hint: Choose metal with strong lines and holes like the curly iron railings, faucet handles and gears.] ﻿﻿2) The original stash. 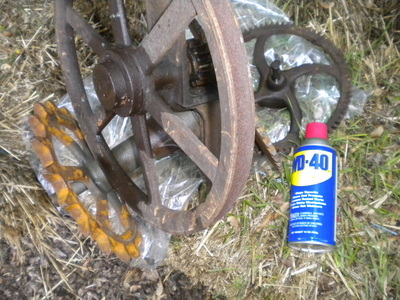 3) WD40 may loosen rusty connections so metal will lay flat for 'staining'. 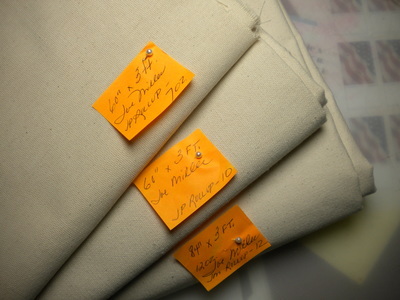 4) I bought three fabric weights of unprimed cotton artist's canvas: 7, 10, 12 oz. [Hint: Start with the 7 oz. canvas; it's lighter weight, easier to handle, and it was easier to bleach.] 5) Here's the yardage after bleaching overnight. Notice the color difference between the bright white fabric and original pinned swatch. [Hint: Soak until whitened or overnight. Use 4c. chlorine bleach and laundry soap in a washer full of hot water. If color isn't white enough in 24 hours, empty washer and start over with fresh bleach. 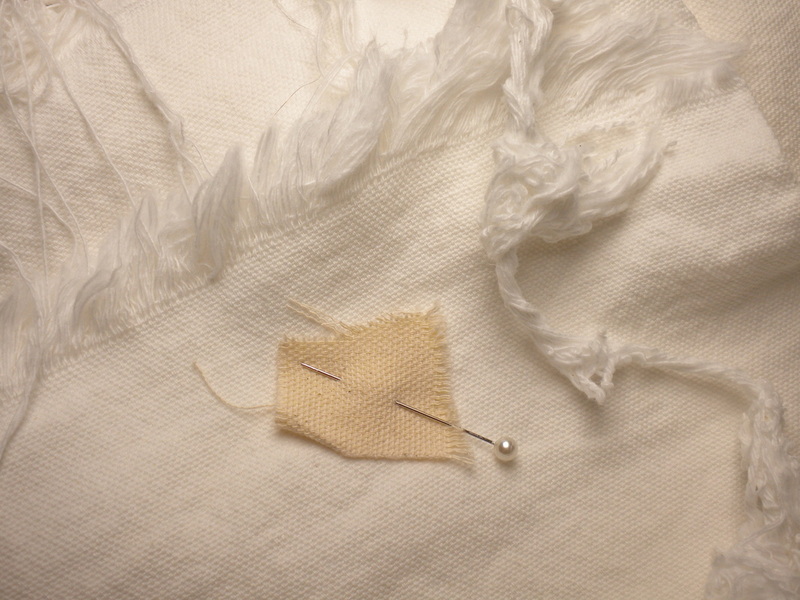 Avoid ravelling: don't agitate fabric. Rinse gently by hand and drip dry. Iron.] 6) Scrubbing the old unused picnic table. 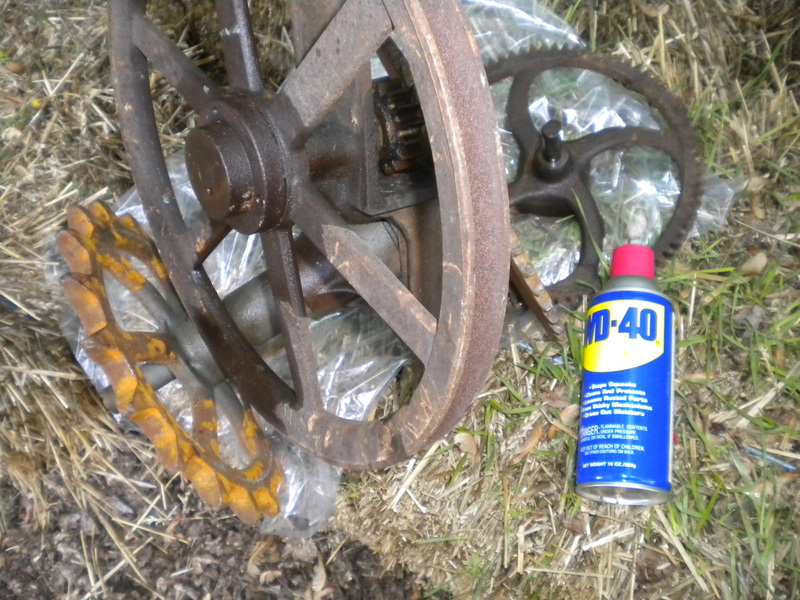 Years of dirt and green moss lifted right off. 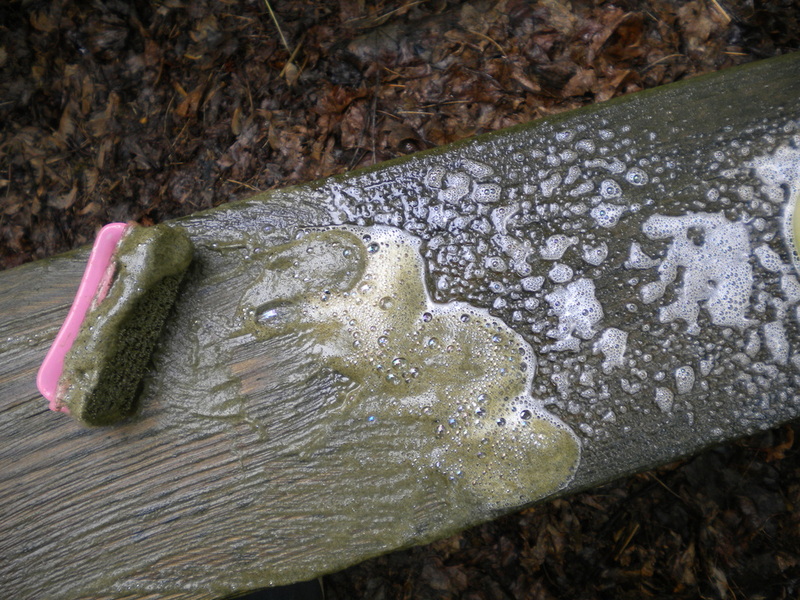 [Hint: Use Awesome Cleaner.] 7) The processing will take more space than I can spare in my studio, and now that the table is clean, it'll be perfect. [Hint: Find a space that can remain undisturbed for weeks at a time.] More later!